Latest ICAEW Business Confidence findings and a look at the current investment opportunities. Nick Swales, Rathbones Regional Director will introduce Ed Smith, Rathbones Asset Allocation Strategist, to provide a timely review of investment opportunities and then he will explain how to apply them. Breakfast refreshments will be available from 07:45hrs in the café area, the briefing will start 08:00hrs in the Roxy Cinema. Please advise when booking if you have any special dietary requirements. Nick started his career at Wise Speke, however, before joining Rathbones, he spent eight years at UBS where he became an executive director and head of the Newcastle office. Nick has significant experience in managing private client, trust, offshore, pension fund and charity portfolios. 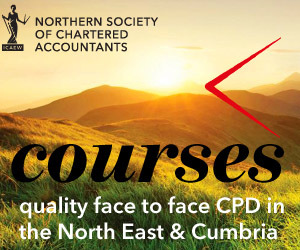 As well as gaining a degree from Newcastle University Nick holds the CISI Diploma and is a Chartered Fellow of the Chartered Institute for Securities and Investment (CISI). Nick has significant experience in helping charities. He is chairman of the Percy Hedley Foundation, a large charity in the North East of England providing educational, vocational and residential care opportunities for disabled people; a trustee of both the Newcastle University Retirement Benefit Fund and the University’s Development Trust; and a board member of CISI. Email: Nick Swales or Tel: +44 (0) 191 255 1442.